YouWin Women:accepting applications till October 28th! The main objective of the Youth Enterprise with Innovation in Nigeria (You WiN!) Programme is to generate jobs by encouraging and supporting aspiring entrepreneurial youth in Nigeria to develop and execute business ideas that will lead to job creation. The programme will provide aspiring youth with a platform to showcase their business acumen, skills and aspirations to business leaders, investors and mentors in Nigeria. · Attract ideas and innovations from young entrepreneurial aspirants from Universities, Polytechnics, Technical colleges, and other post-Secondary institutions in Nigeria. · Provide a one-time Equity grant for 1,200 selected aspiring entrepreneurs to start or expand their business concepts and mitigate start up risks. · Generate 80,000 to 110,000 new jobs for currently unemployed Nigerian youth over the three years during which the three cycles will be implemented. · Provide business training for up to 6,000 aspiring youth entrepreneurs spread across all geo-political zones in Nigeria. · Encourage expansion, specialization and spin-offs of existing businesses in Nigeria. · Enable young entrepreneurs to access a wide business professional network and improve their visibility. 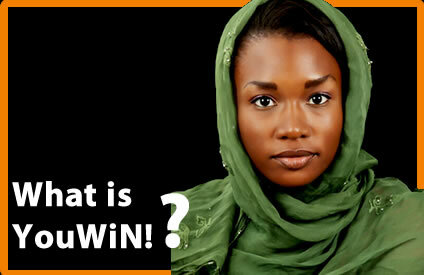 · YouWiN is an equity contribution to your business. It is therefore NOT A LOAN but a grant. · Award recipients will be paid according to the needs of the business and specific mile-stones stated in the business plan. · Award recipients must be registered with CAC before disbursement of funds even though they do not need to be registered to apply. YouWiN will support the registration process. · Award recipients will operate accounts using their registered companies with any of the participating commercial banks prior to disbursement. · Award recipients must sign a grant agreement with the managers of YouWiN before disbursement of funds. awardees in the first YouWiN! project, only 18% were female. About You WIN: YouWiN! stands for Youth Enterprise with Innovation in Nigeria. It is an innovative business plan competition aimed at job creation by encouraging and supporting aspiring entrepreneurial youth in Nigeria to develop and execute business ideas. The first edition of YouWIN! launched in 2011 and the accomplishments of the 1,200 YouWiN! awardees were celebrated at the Presidential Villa on April 12, 2012. Click here for a list of all the winners. extensive possibilities in the Nigerian business environment. The winner stands a chance to win N10,000,000.00! The money is an equity contribution to the winner’s business. Who can apply: Nigerian female entrepreneurs between the ages of 18-45 wishing to expand their existing businesses or birth a new business concepts. (proof of identity: International passport/Drivers License/National ID/Voters card is required). Interested applicants must have post-secondary school qualification. The proposed business venture must be within the national borders of Nigeria, and with the intention of employing Nigerian citizens. The proposed venture must not entail the production or distribution of weapons, alcoholic beverages, tobacco or/and gambling, or any activities in contradiction with the Nigerian constitution. How to apply: Attend any of the business clinics in the State nearest to you from the list below. You will receive assistance with registration and the application process as well as training on writing your business plans to ensure that YouWiN! Women win. Winners of the YouWIN Business Plan Competition Announced! The Youth Enterprise with Innovation in Nigeria (You WiN!) Programme ; a collaboration of the Ministry of Finance, the Ministry of Communication Technology (CT), and the Ministry of Youth Development that launched an annual Business Plan Competition (BPC) for aspiring young entrepreneurs in Nigeria, in line with the Federal Government’s drive to create more jobs for Nigerians has announced 1,200 inner across the 6 geo-political zones of Nigeria . With the objectives to generate jobs by encouraging and supporting aspiring entrepreneurial youth in Nigeria to develop and execute business ideas that will lead to job creation. The programme provided aspiring youth with a platform to show case their business acumen, skills and aspirations to business leaders, investors and mentors in Nigeria. Provide business training for up to 6,000 aspiring youth entrepreneurs spread across all geo-political zones in Nigeria; Encourage expansion, specialization and spin-offs of existing businesses in Nigeria; and, Enable young entrepreneurs to access a wide business professional network and improve their visibility.